Hudson River Appraisal Group is centrally located in Greene County, New York, in the foothills of the Catskill Mountains. Because of our location, we are able to provide appraisal services in the Upper Hudson Valley region, the greater Albany / Capital district area and west to the greater Oneonta / Delhi region. Appraisal services include a full range of property types from small parcels of land up to large commercial industries and office buildings. We provide a reliable service, realistic turn-around times and competitive pricing. At Hudson River Appraisal Group, it is our mission to be the best real estate valuation company in the area. With a dedicated staff, we will provide prompt, reliable, professional service at a reasonable cost to the consumer, while ensuring the highest quality reports and accurate valuations. In an ever changing market we will remain current on all of the trends that effect property values in the region. We will do our best to make sure the client is informed of the valuation process that will be used and to answer any questions that they may have. While we provide an "as needed" service, it is our goal to provide the best possible service, and when that client needs appraisal services again, Hudson River Appraisal Group will be their first and only call. 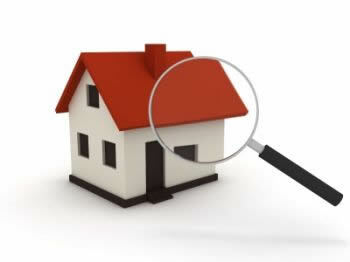 We offer appraisals on the following property types. If you don’t see your property type listed, call us to discuss it. There are three types of appraisal reports. Which report type best serves your purpose? The main difference among all three report types is the level of detail that is provided within the report itself. For the most part, the appraisal process for each report type is very similar only dependent upon the degree of accuracy requested by the client. The next question is what report format do you need? Appraisal reports can be completed in a Standardized Form format, which is primarily used in most residential situations, or a Narrative format, which is typical for commercial needs. If you are looking to have a residential home or a small multifamily (2-4 units) then mostly likely a Standard Form report is more than adequate for your needs. This type of report is generally the required type of report for most financing lenders. It is also appropriate for most court requirements and tax assessment cases. Basically, the Standard Form report is suitable for nearly any residential situation that requires a property valuation. Standard forms include the URAR (1004), 2055 drive-by and the Small Residential Income for most 2-4 family properties. The Standard for report is also appropriate for many simple land valuations as well. The Narrative report is more of a large report and is more often used with commercial properties or when far more detail is required. Often, where a Standard Form report may be 15 to 20 pages in length, a Narrative Report can be as small as 3-4 pages or as large as several hundred pages. Generally though, a summary report, which is the most common, is between 40 and 60 pages in length. This type of report is the most basic type of report available and usually the least used. It is only beneficial to someone with in depth knowledge of the property being appraised as very little detail is presented. It provides the necessary information required by USPAP and very little more. The report type typically does not meet the needs of lenders. This report type is the most commonly used report option for most commercial property appraisals. The level of detail contained within the report is usually good and all of the steps and processes are summarized so that they are easily understood. The details of the property being appraised are typically detailed with photographs, maps, sketches and construction details. The analyses are provided and the comparable data used to reach the conclusions are also detailed. With this report format, any reader should be able to have a reasonable understanding of the property that is appraised and how the final value conclusions(s) were reached. For its type, the Summary report provides the best "bang for your buck." Like the smaller Summary report, the Self-contained report is often used by commercial lenders but not nearly as much. The reason being is that the report is much more detailed throughout and much more costly, sometimes by as much as double. Because of the level of detail, the appraiser spends much more time on the “background” of the subject property and the comparable data used within the report and analyses. The reports are quite lengthy and can be difficult, if not sometimes confusing, to read. While a Self-contained report can be used with any property type, they are generally reserved for larger properties exceeding values of one million dollars. Now that you have a brief understanding of the report types, which will you need? If you need an appraisal of your own property and are only concerned with the final value, then maybe the Restricted report is for you. If you are going to a lender for financing, looking to market your property and what the appraisal available to potential buyers, or maybe you have to take the appraisal to court for a divorce, then the Summary report is your best bet. If you happen to be purchasing a multimillion dollar complex with several different tenants, then probably the Self-contained report is necessary. If you still can’t decide, give us a call and we will help you.